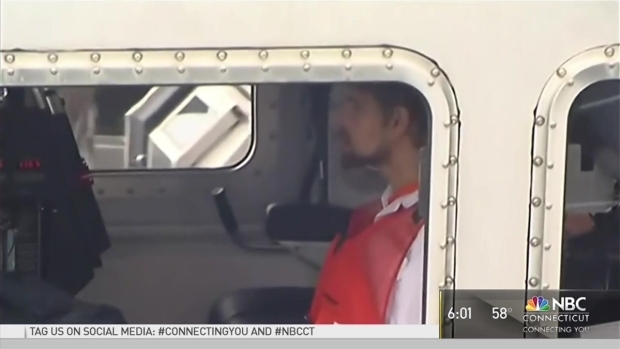 Nathan Carman has been called a suspect in the 2013 shooting death of 87-year-old real estate developer John Chakalos in Connecticut. No one has been arrested. He also has been questioned about the day his boat sank last year near Rhode Island with his mother onboard. She's presumed dead. 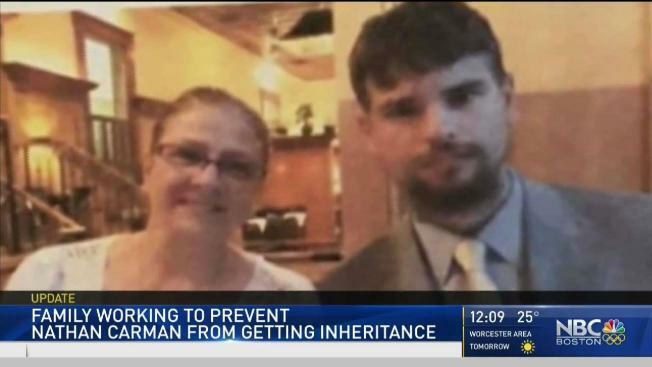 A New Hampshire judge has put off a decision on whether to dismiss a lawsuit accusing a Vermont man of killing his millionaire grandfather and possibly his mother to collect an inheritance. Carman has denied any involvement in either case. His aunts have filed a so-called "slayer action" asking a New Hampshire court to declare that Carman murdered their father. That declaration would keep Carman from inheriting hundreds of thousands of dollars from his late grandfather’s estate. Carman wants the lawsuit dismissed, saying his grandfather wasn't a resident of New Hampshire at the time of his death. Carman’s aunts say their father was, in fact, a resident of West Chesterfield, New Hampshire, at the time of his death. Because of the complexity of this case, both sides agreed to take four months for discovery and come back to court in May. Judge David King on Friday said he would take the dismissal request under advisement. A statement from Chakalos' family released to NBC Boston Friday afternoon said there are holes in Carman's story. "Nathan bought a $3,000 assault rifle, the same caliber used to murder John Chakalos," said Dan Small, attorney for the Chakalos family in the statement. "He refused to tell the police about it, he refused to tell the Court in Rhode Island until Court ordered and he refused to tell the Court here in New Hampshire, claiming in his response filing that he was 'without knowledge.' How does a clever, calculating person like Nathan buy a $3,000 assault weapon, lose it, and then forget about it? There are still, too many questions without answers and too many answers without justice." Carman’s lawyers declined to comment.